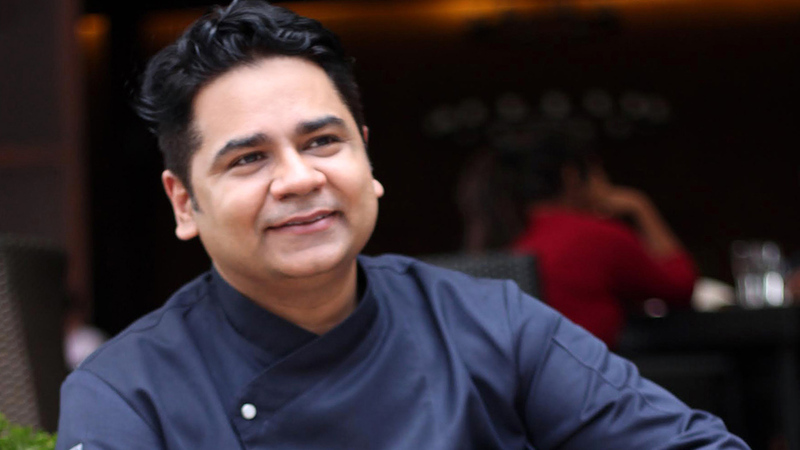 Talking to Restaurant India, he shares some of the culinary delights. A well–travelled chef with an innate understanding of culinary concepts and a strong passion for innovation, Vikas Seth comes with over two decades of work experience travelling across some of the best culinary capitals of the world. The F&B market is opening up year on year and I feel stand alone restaurants are doing really well in the market with good stake. Fine dining has also got a holistic touch in standalone environment. I can feel that everyone today is growing. If you see at the organised part of the industry it is only 30 per cent and 70 per cent is still not organised and its actually growing and I think it will move more towards organized segment soon. From past 20 years I can see a lots of food development happening, people travelling more, they are ready to spend more and there is high acceptance level amongst the crowd with new concepts and varied cuisines. People are eating out a lot and it is great signal for the food industry to do more outlets. If you go in detail its very surprising. Mexican cuisine is very much familiar to the Indian cuisine. Both have a legacy and have a history rich cuisine, ingredients are plenty. There are a lot of chillies used to prepare the food which are all not spicy but obviously flavorsome. Mexican cuisine is beyond Nachos and Tacos. I am chef and culinary director at Lounge Hospitality. My role other than cooking include conceiving, creating anddeveloping menus, work on new ideas, teach staff and obviously the costings. It’s a lot of fun and as I am born and brought up in Amritsar I love eating and cooking good food. Almost every day you are creating something new and doing something new. It’s very challenging as well as exciting role with lots of travel which I love. I am travelling to a place called Oaxaca in Mexico soon. This place is what Punjab is to India for culinary delights. I am going to a Mexican food capital with a Mexican chef which is going to be very exciting with lots of eating out and learning more about the cuisine and culture of the place. Why Mexican cuisine is still a challenge for people to do is because of the ingredient sourcing, can be the chillies or right masa. To get all these things there is lots of backend work that has to be done. Though, it’s always challenging to do foreign cuisines in India but as I have spent quite a few years doing it, the challenge has reduced for me. We are importing integral parts of it from Mexico and avocados we are sourcing locally. We have designed the restaurant in a way that we have a bar at the centre and on the left we have 100 cover restaurant Sancho’s and on the right we have Singkong which is 70 cover restaurant. The Mexican has a rustic look whereas Oriental has more Pan Asian feel to it. As we are present at the best location in Bengaluru, that is UB city, our mouth watering food at both the places along with great location adds up to the better footfall at both of our restaurants. We have a kitchen which is divided into two, one side is oriental and other side is Mexican and operationally it works well for us. Footfall at our restaurant ranges from 250 people on weekday to 600 people on a weekend. Since most of the females are also working in Bengaluru so they tend to eatout more as compared to other cities. It is a price sensitivemarket, so the right portion size of the dishes, to get a real value for money pricing is the key. We also work on small plates in our Mexican restaurant to make the pricing more attractive and at the same time guests can try more variety. Standalone restaurants are doing well, lots of regional food is also doing well and home chefs are being recognized. People are travelling more and so awareness about foreign cuisine and lot of ingredients is growing. People are appreciating new ideas. And, today you have clientele for every product and there is room for everybody to excel. The key is the taste and marketing for sure!!! "We are not keen on making money but brand"..